I'm all about things that are fun and practically free this summer, since we're expecting a new little one and saving up pennies! 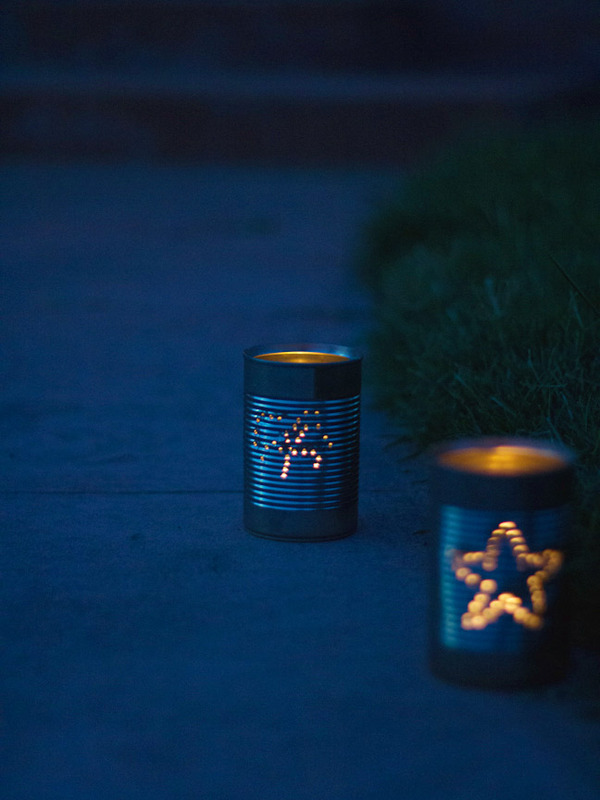 These tin can luminaries fit the bill perfectly for your Fourth of July parties! 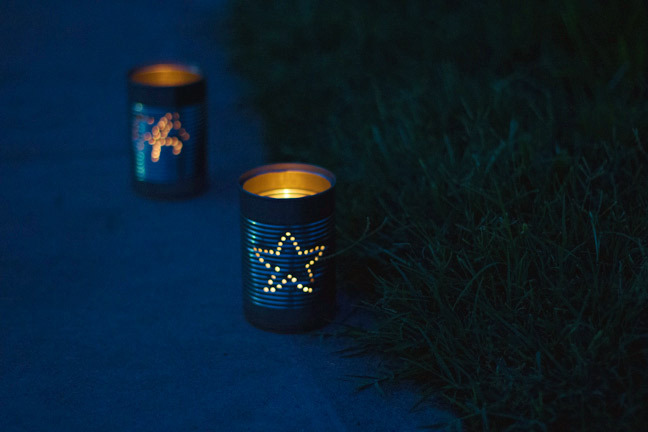 They'll light the way for your guests after darkness settles in, and you and the kiddos can choose your own fun patriotic designs to cover them. 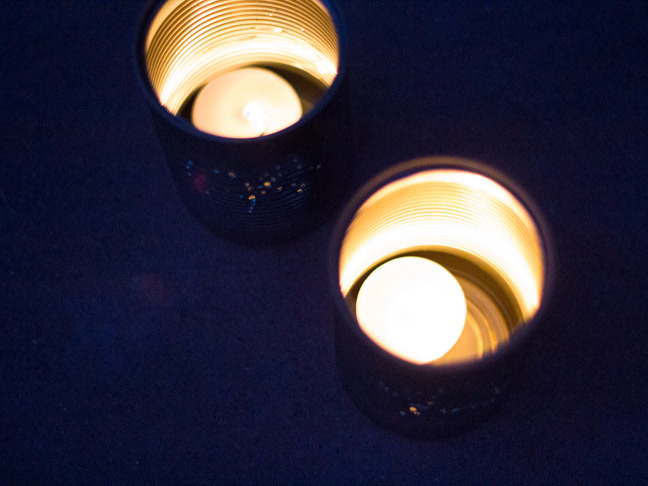 Get Dad in on the fun with his power drill skills; it's a DIY that the whole family will love. 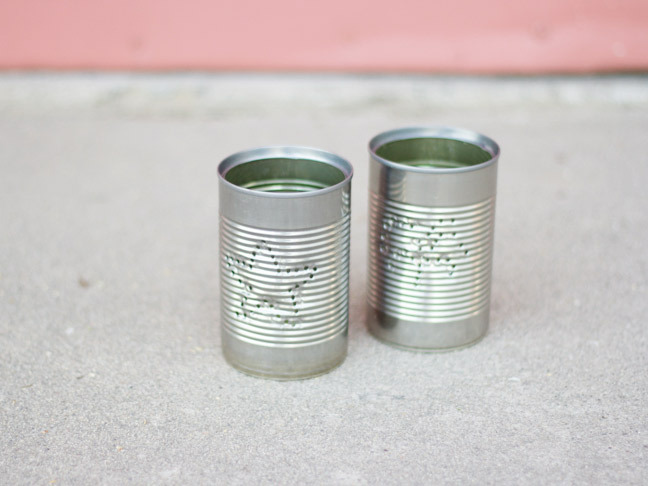 Step 1: Save your cans for a few weeks. Soak off the labels and remove any adhesive. Rinse them thoroughly and be sure they are dry and clean. 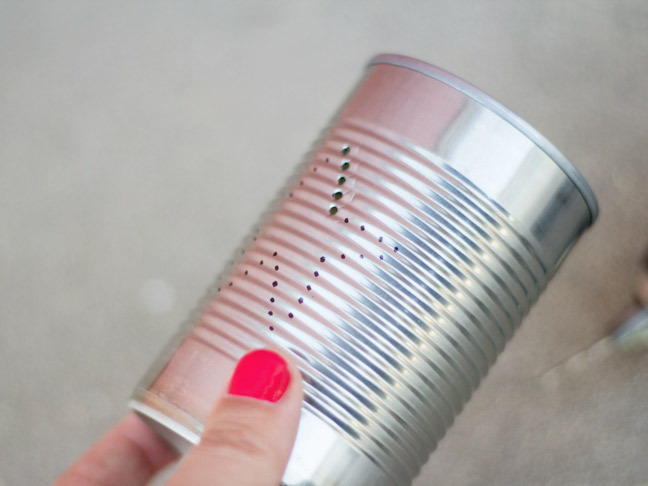 Step 2: With a Sharpie, outline your design with small dots. 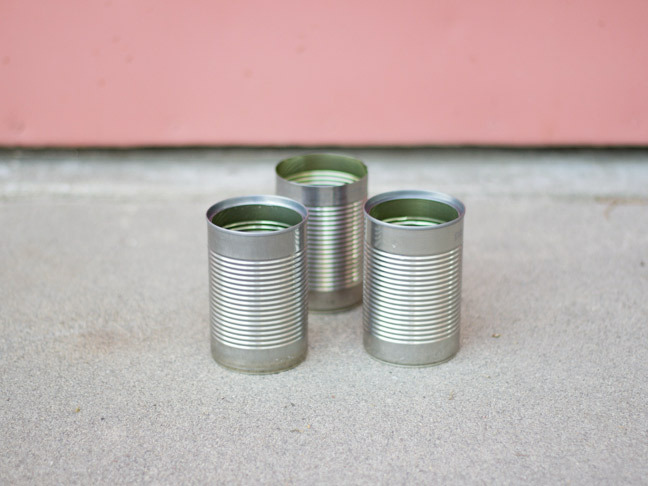 Place them far apart enough that when you drill through them they won't rip through the can. Step 3: Put on your gloves and safety goggles if you wish. 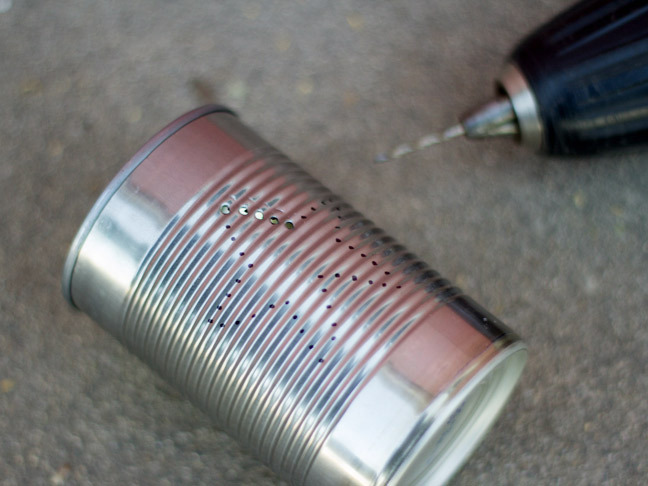 Holding the can steady, apply the drill in direct downward pressure on the first dot. Slowly start to drill until the bit pierces through the can. 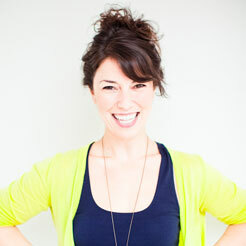 It may take you a few tries to get the feel of how hard to press (a practice can is a good idea!). Step 4: Continue to drill through all of your dots. 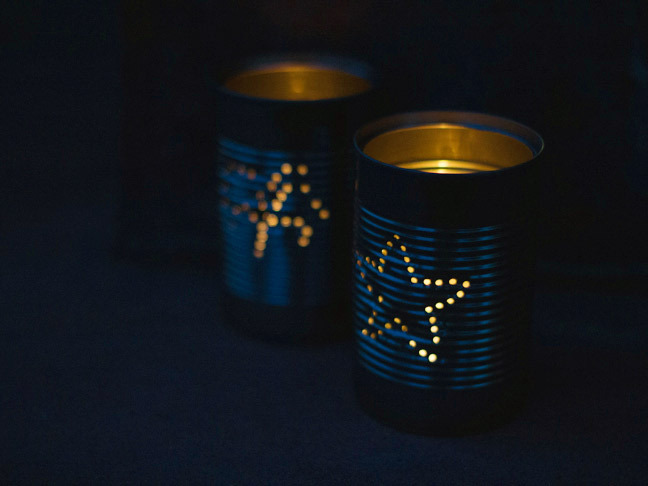 Add a votive candle to each can. 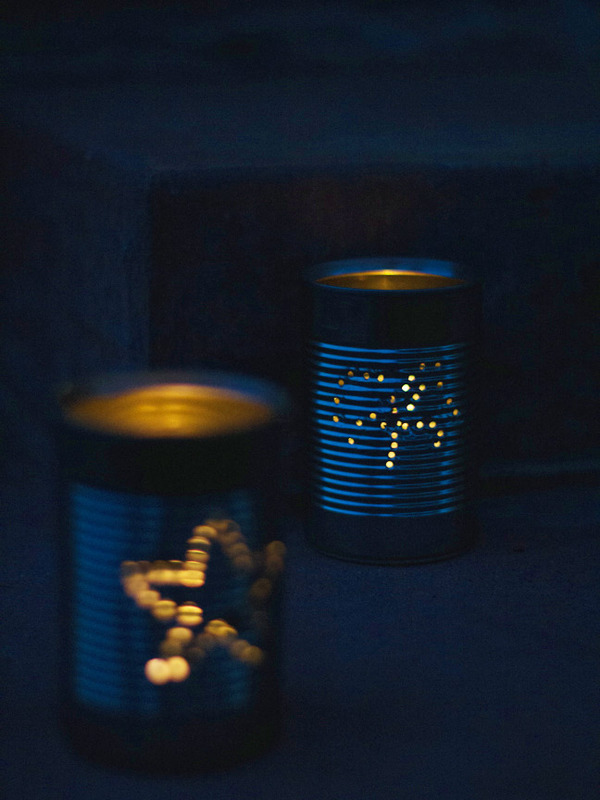 Step 5: Set the can luminaries outside on your steps or guiding your guests to the party!